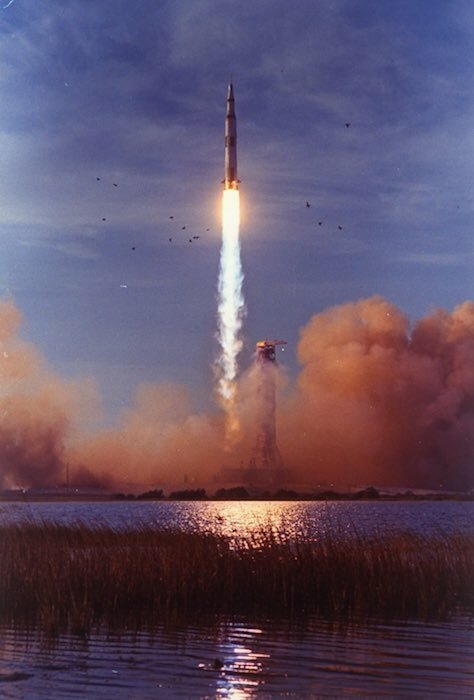 On Dec. 21, 1968, Apollo 8 and its astronauts - Frank Borman, James Lovell, and William Anders - launched into space and over the course of their mission, became the first people to orbit the Moon. 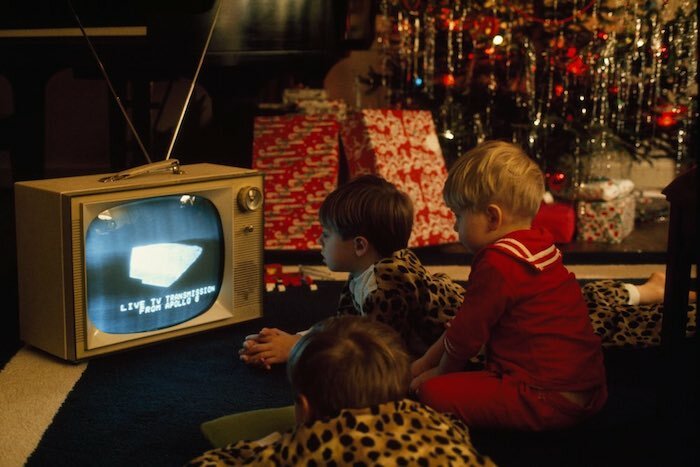 Apollo 8 orbited the Moon 10 times, and on Christmas Eve, the crew made a TV broadcast reading the first 10 verses of the Bible's Book of Genesis. 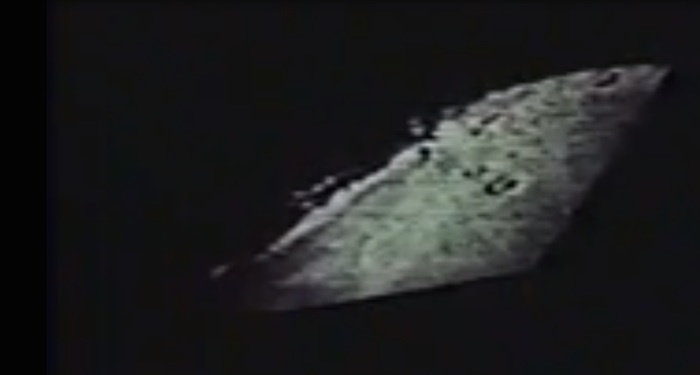 When this was broadcast, it was the most watched TV program of all time, seen by approximately one quarter of people alive at the time. 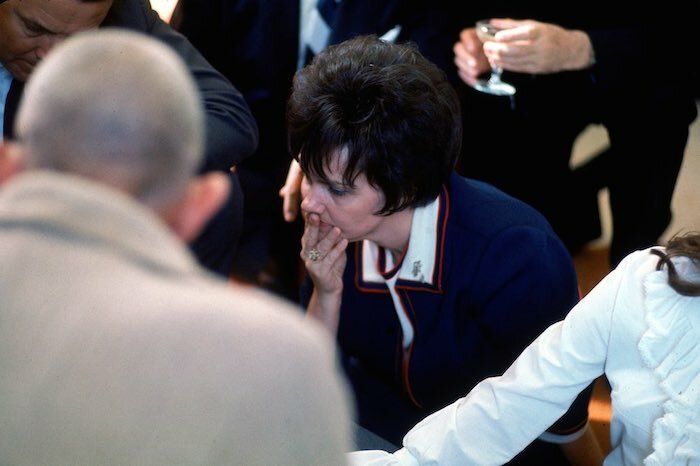 Madalyn Murray O'Hair, the renowned atheist activist, later brought an unsuccessful lawsuit against NASA because the astronauts had read from a religious text. 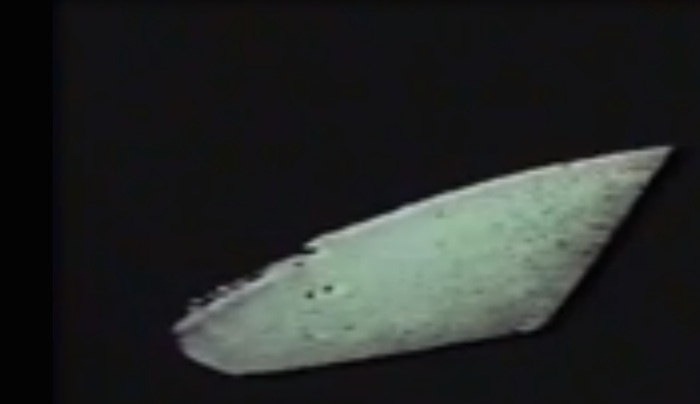 On Christmas Day, the crew found they had been given a present by mission control - a Turkey Christmas dinner with stuffing, small gifts from their wives, and three miniature bottles of brandy. 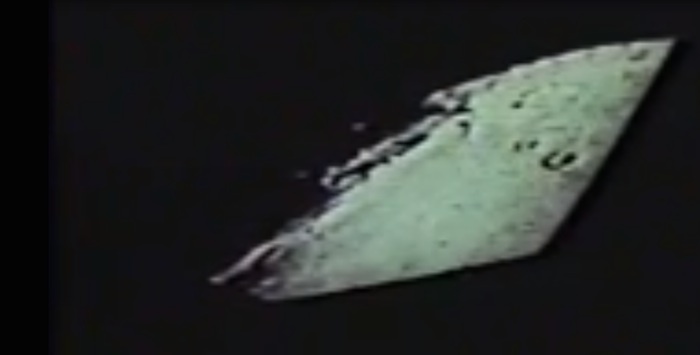 Borman, the commander of the mission, instructed them to leave the bottles unopened. 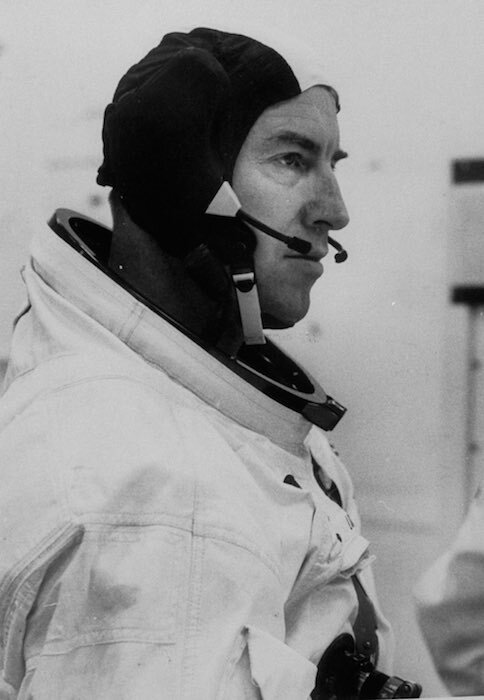 pollo 8 astronaut James A. Lovell. 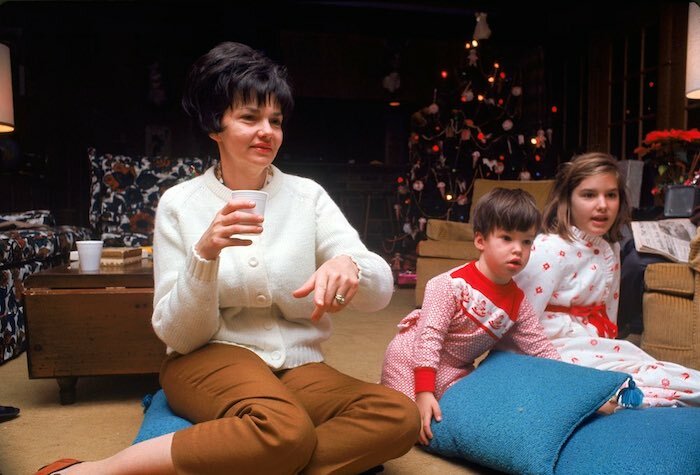 Marilyn Lovell looks worried during a party in Houston while her husband, astronaut James Lovell, is on the Apollo 8 space flight. 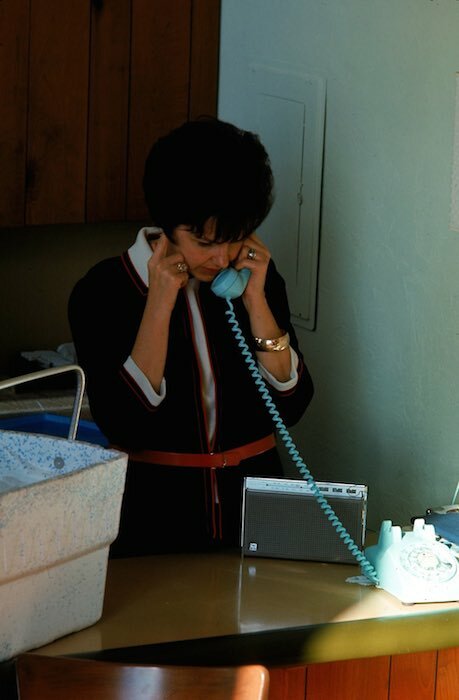 Marilyn Lovell talks on the telephone while she keeps a portable radio close at hand to hear updates on Apollo 8. 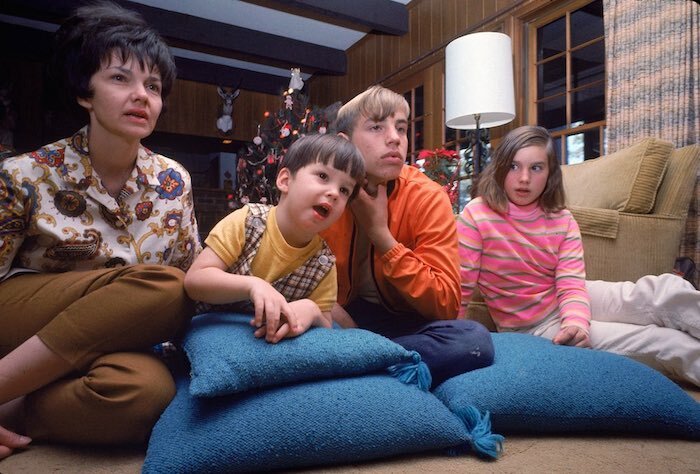 During his Apollo 8 space flight, the family of astronaut James Lovell watches his progress on television in Houston. From left, wife Marilyn, sons Jeffrey and James III (in orange), and daughter Susan. 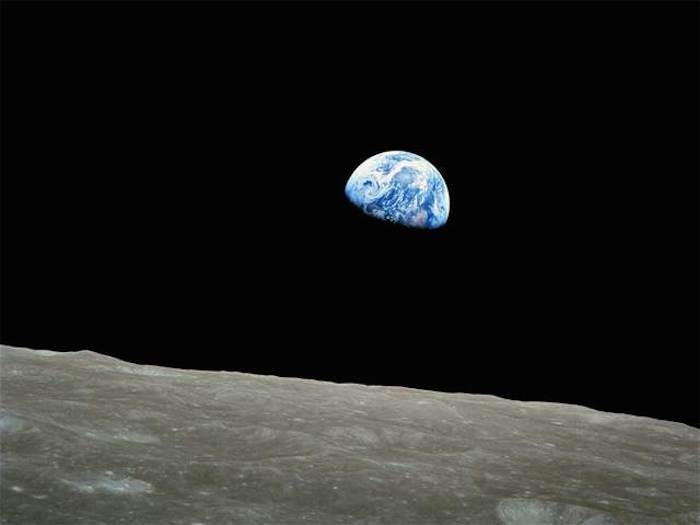 Earth rising by Apollo 8 in Moon orbit. 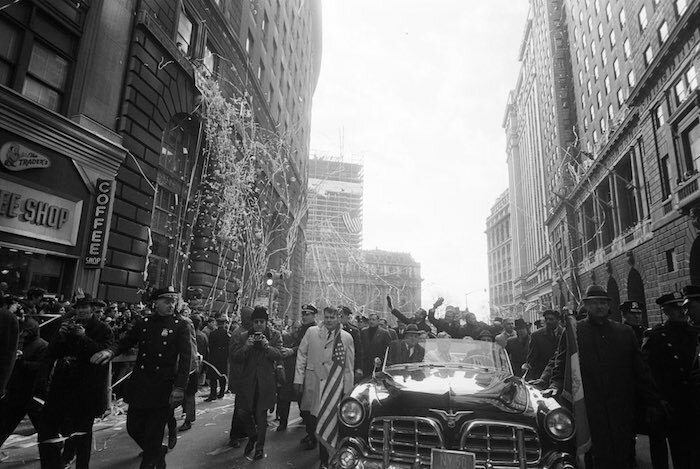 Ticker-tape parade for the three of Apollo 8 astronauts In New York. - all of you on the good Earth.